The name says it all! Enjoy classic burgers off the grill or pizza fresh from the oven and more. Eat in or Take out. 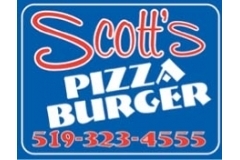 An independent restaurant on Main St. (Highway 6) in Mount Forest established in 2004.